Maxicom Global is a leading buyer and seller of *refurbished/used computer systems. 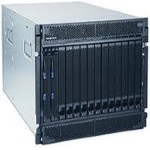 We offer a complete line of hardware products from IBM, Sun Microsystems, HP and others hard to find equipments. We have 18 years of experience of selling used systems to meet our customer’s exact specifications and budgets. Save 25 – 75% on used systems. We’re located in the India, so we have among the fastest delivery times in the industry. Same-day and overnight delivery are routine. Our 10,000 square foot warehouse lets us to stock an extensive inventory. We offer flexible purchase options, choose your terms—purchase, lease, trade or short-term rental. Our technicians have the highest level of industry certification. Maxicom Global is dealing in HP, IBM, DELL, SUN, Quantum, Nortel, and many others. We deal primarily in systems/system components, servers/servers parts storage devices, and printing devices & components. Additionally, we offer many used computers equipment & components of manufacturers such as Dell, Sun, IBM, Lexmark, Xerox and many more. This entitles our clients to keep the same level of service from their existing maintenance provider. Our client completes satisfaction is our number one goal. Our commitment to you doesn’t end with the sale. Our follow-up will assure that you are up-and-running fast and that you get the most out of your system. If your company is ready to dispose of obsolete electronic equipment CRT, server, networking .IT/computer disposal solutions has opportunities available for a ROI with our revenue share / asset management program. Do you have retired computer assets for sale, our computer network asset recovery partners and pool of e-waste buyers would like to bid and make offers on you excess equipments. Our customers are railroad companies, retailers, data-centers, international magazine publishers, Fortune 500 companies, college professors, telecommunications corporations, banks, small businesses, big businesses, universities. Our customers major are in India, US, Singapore, Italy, UAE, Australia, Canada, United Kingdom, China and Chicago, in skyscrapers. We know you’re busy. You don’t have time to waste on dealing with short-sighted sales people without solid customer service, product support and guaranteed delivery dates. Whether your business is a two-man project on a tight budget, or a huge corporation looking to cut costs across the board – we’ll make it a priority to ensure we not only support you, but equip you. Our clients are loyal because we’re loyal. We’re committed to our relationship with you for the long haul. Just give us a call. One of our passionate customer service staff or salespeople would love to tell you about themselves.